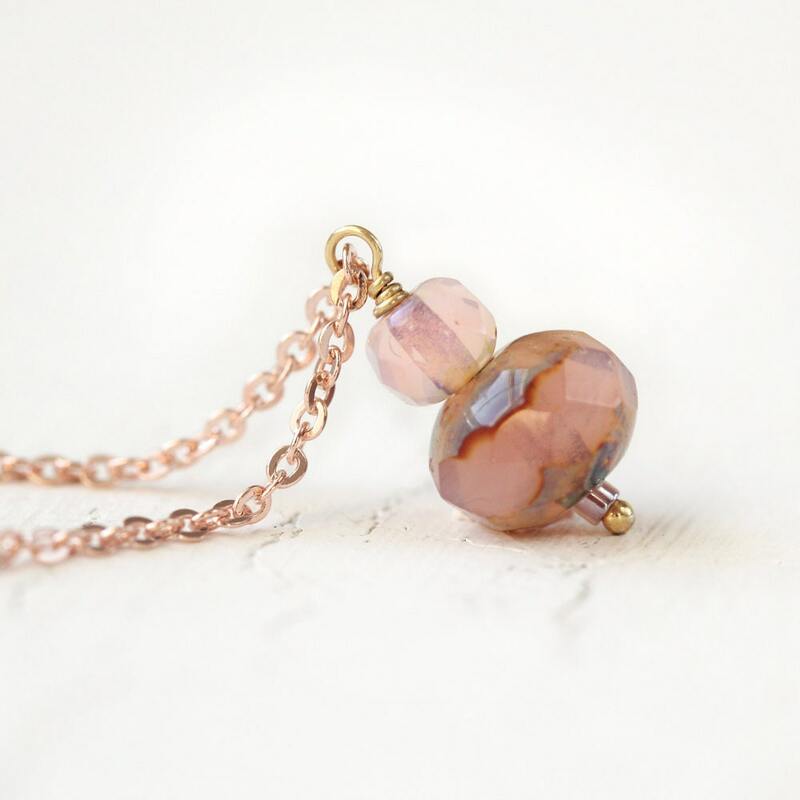 This rose gold necklace is such an incredibly pretty and feminine necklace! 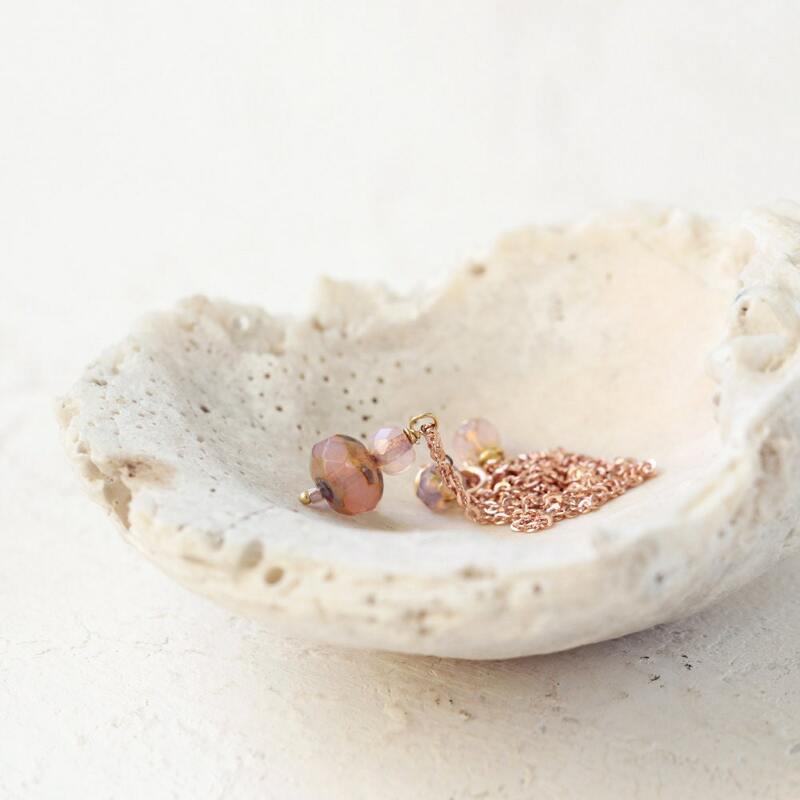 It's minimalist delicacy is sublime, understated and perfectly refined. This is the first time I have used rose gold and I have fallen in love. I had no idea just how sumptuous and beautiful it is. I looked through my entire collection for a gemstone that would do it justice. I couldn't find one. Instead I found this exquisite opalescent pink Czech glass bead. 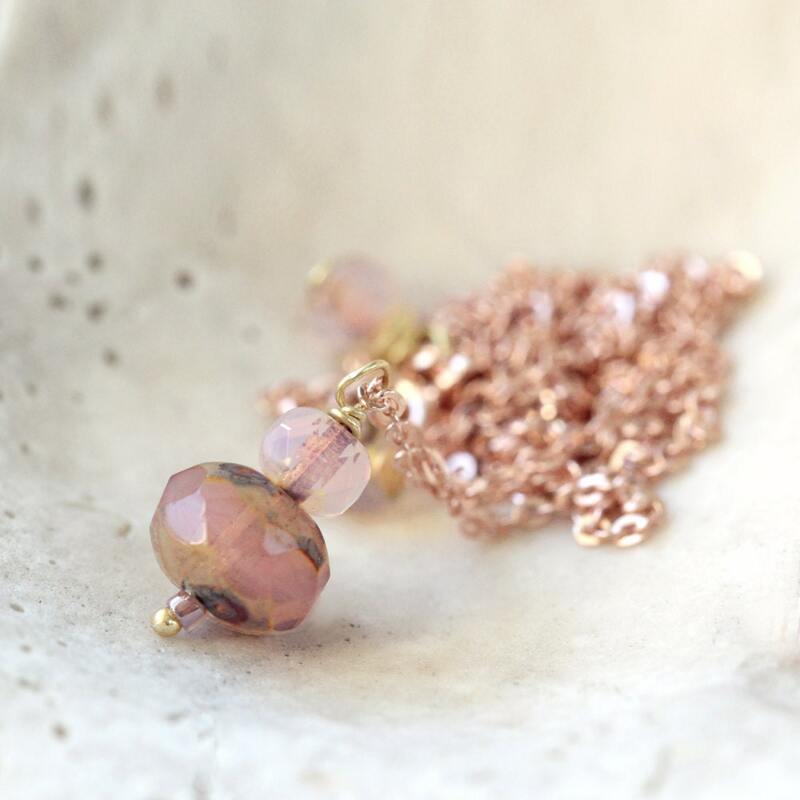 It has wonderful coppery-pink tones that are just perfect in every way with the beautiful chain. It's truly a match made in heaven. The chain is 14k rose gold fill, and comes in your choice if length. 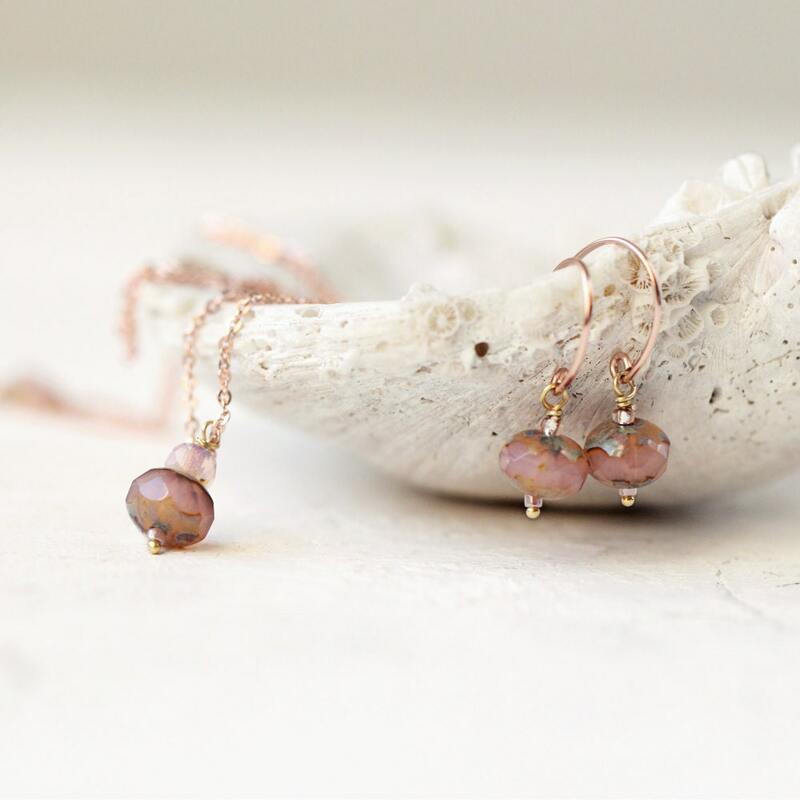 You may choose to purchase the matching Rose Gold Earrings together with this necklace and save on the set! Please just select this option from the drop-down option box. PLEASE NOTE - the little beads beside the clasp that you can just about see in the photographs are no longer a part of the design. I made this change after customer feedback which was in preference for a more simple and minimal design. Very nice, I gifted this to my friend for Christmas and she says she hasn't taken it off for weeks. This is such a great set. I just wore it for a party and got lots of compliments. Thank you!